When I discovered that Sanderson was tackling a story about super heroes I was sceptical, but curious. We all know that the realm of super heroes is the comic book. There are few novels that deal with super heroes, and even fewer that are any good. I think it’s hard to translate what makes super heroes loved in the comics to book format. With that in mind, I dived into the series excited to see what an excellent storyteller like Sanderson did with the concept. The Reckoners series currently stands at three full length novels and one short story. In this world, an object appeared in the sky and soon after humans began to get super powers. In true human fashion, those that gained powers used them for their own personal gain. It doesn’t take long for our society to collapse, and the people with powers, known as epics, take over the world. 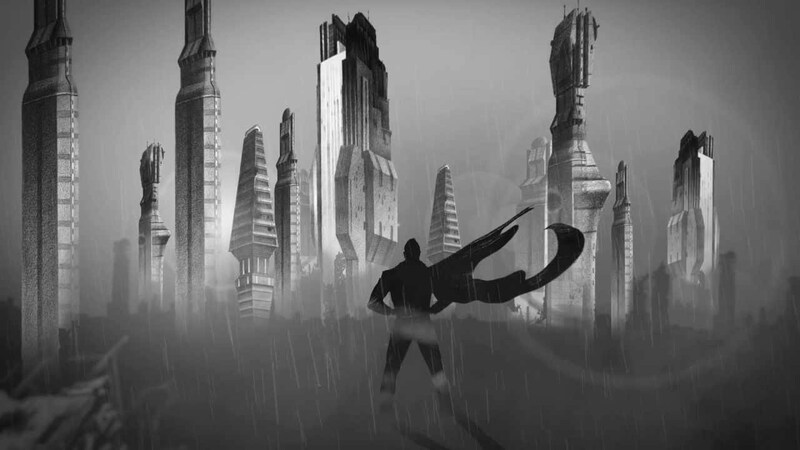 Some epics rule over the survivors, forming cities and communities with epics at the top of society. Others simply go on a killing spree, murdering people they consider to be beneath them, and other epics who challenge their power. It is a cruel, and unforgiving world for those who managed to survive the epics rise to power. The series follows David Charleston, an orphan obsessed with epics, and with a thirst for revenge against the one who killed his father. He joins a group called the Reckoners, who are an underground resistance movement. Their sole purpose is to find and kill as many epics as they can, and free humanity from their tyrannical oppressors. The only problem with this plan is that epics are pretty hard to kill. A lot of them have invulnerabilities that make them almost impossible to assassinate. This is a war that the Reckoners are almost certain to lose, but there is one saving grace. Every epic has a weakness that negates their powers. They keep their weakness a secret and guard the knowledge with great zeal. The books are all named after the epic it focuses on. Steelheart, Firefight, and Calamity. While being a core element in each book, they are not the only thing focused on. The Reckoners move across the former United States hunting epics they feel need to stop as a priority. I do not want to spoil anything here as the series has many a twist and turn, each one more surprising, and entertaining than the last. Although we see everything from David’s perspective in all three books, the characters he meets, and the threats he faces vary. The books all follow a similar core narrative arc. The Reckoners have a target, they make plans, find allies, and gather resources they need to try and defeat the epic. Once all that has happened we are then treated to an ‘epic’ confrontation, if you will, between the Reckoners, and their super-human target. The action scenes in this series are intense, well paced, and brilliantly written. It’s not hard to follow the action, and you can really picture them playing out. 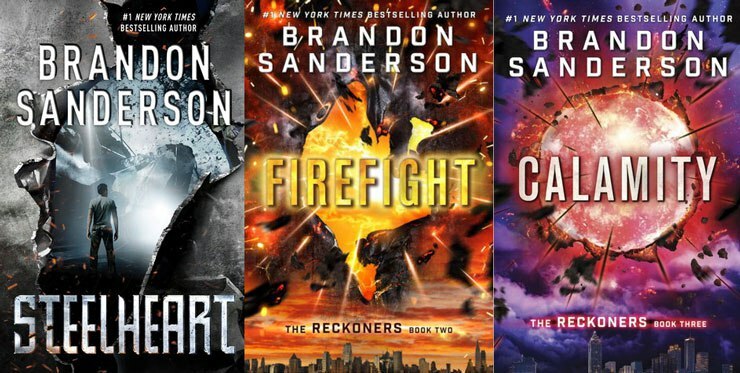 I think out of all Sanderon’s work, these books would be the best, and easiest to adapt to the big screen. While the action is great, it’s really the characters of the series that are the most interesting to read about. This is a world filled with troubled individuals. Learning about the brutal, and often tragic pasts of the Reckoners is really moving. It is the epics, however, which is where I think the true quality of this series lies. Sanderson is a master of creating magic systems in his work. I think that the epics are a take on that incredible system building. The series main theme surrounds the complicated issue of the epics, who they are, and how their powers affect them. They are complex characters with even more complicated pasts. Their specific powers play a tremendous part in character building. Several of the series main characters are epics, and learning about their powers becomes a big focus. The further the series goes on the more we learn about the epic condition, and how it came to be. Encased within the awesome action, and incredible world design lies a story about humanity and how we cope with power, fear, life, and the love of each other. It’s a series that while focusing on super-human beings is actually grounded firmly in humanity, and what it means to be human. While I know some people weren’t too keen on the series conclusion, I was thoroughly enthralled by it from start to finish. I truly hope we get to see more of David and the Reckoners universe in the future, but if we don’t, I love what we got to experience. One thing is certain; I’ll never think about super heroes quite the same way ever again.